The aircraft industry is in the news these days. Either it's because of the rising fares, lack of good connectivity, poor service, or delays galore! Either way if you are writing about the aviation industry, in particular about air passengers safety, or their grievances, these pictures might come in handy. The first picture is of go airways, the low-cost airline. This picture was taken this year. 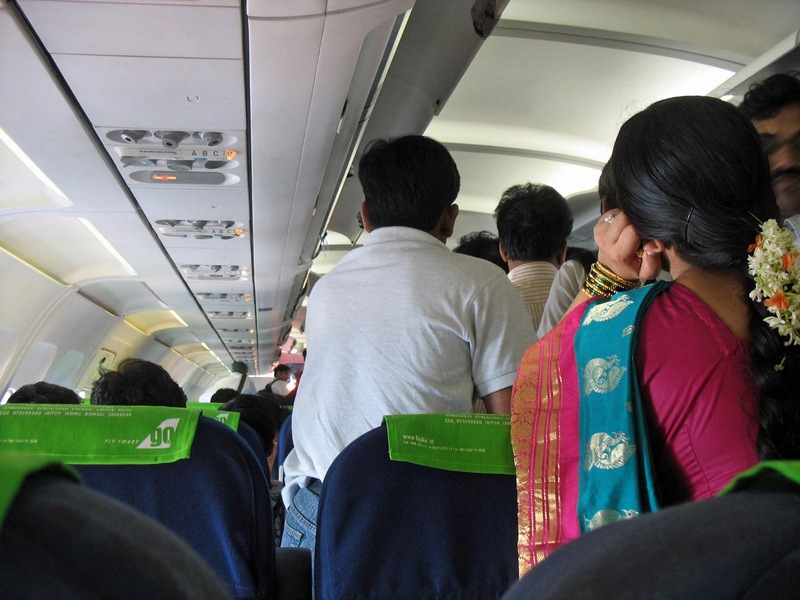 Passengers can be seen standing up as the plane has landed. Everyone is waiting patiently for the door to open so they can alight. This picture is of a foreign airline, I think it's Cathay, but am not sure as it was taken some years ago. 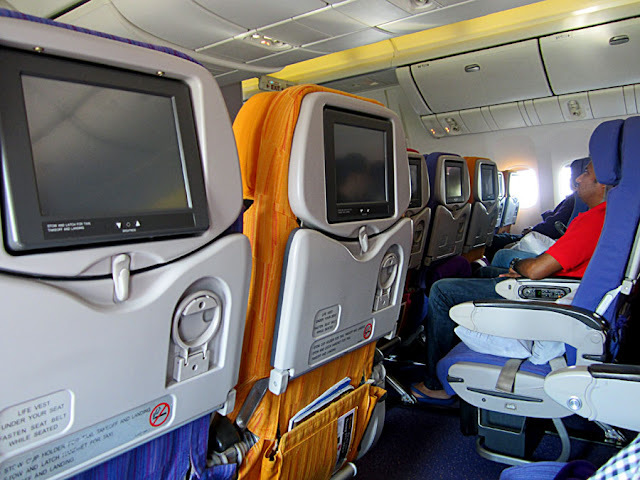 The view is of the economy section of the plane. The photograph was taken before the flight took off. This is the same airplane. The camera is facing another direction. 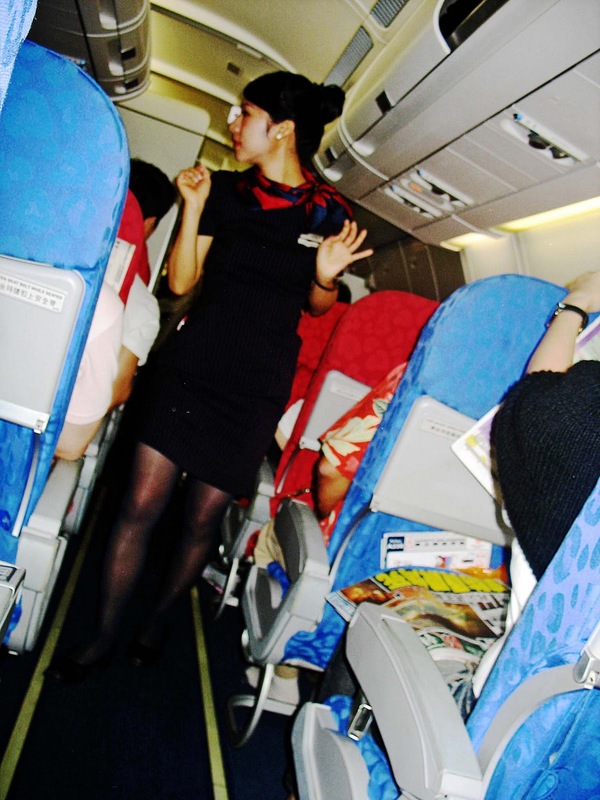 This photograph is of a domestic Chinese airline. 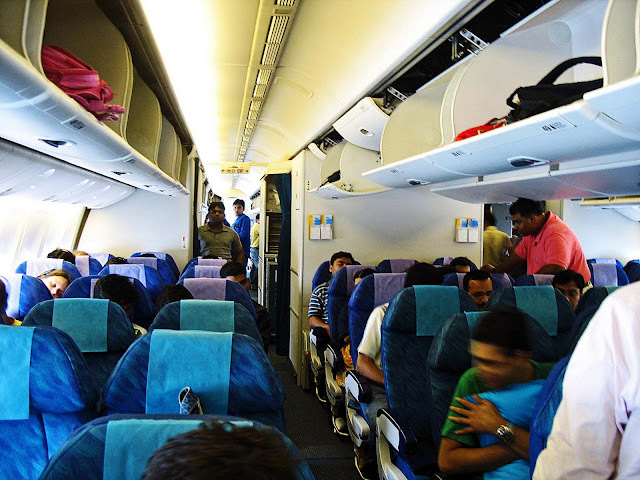 It is a fairly small plane and the seats are cramped. The airhostess or stewardess can be seen on the aisle of the airplane. She is wearing a black jacket and skirt with a red scarf as part of her uniform. 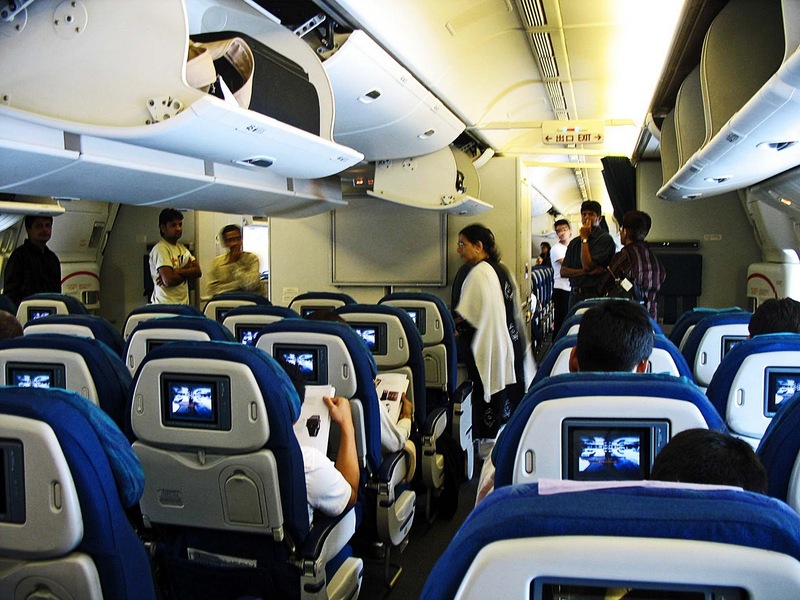 A close up view of aircraft seats. TV screens in front for seeing movies or to see the safety instructions. Airport Photographs: Bangkok Airport - Pictures or Photos of Chennai Airport or Goa Airport pictures or Mumbai Airport (photos of the exterior of the airport building, from the outside).